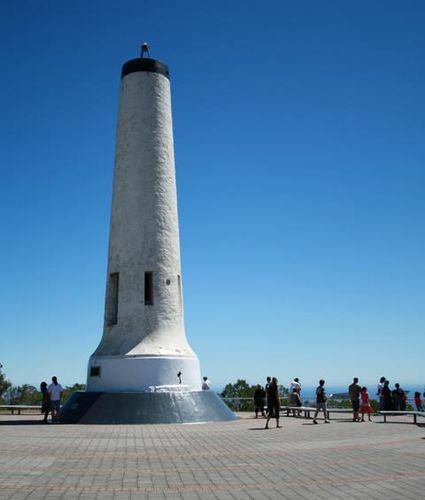 An obelisk commemorates Matthew Flinders` sighting and naming of Mount Lofty in 1802. 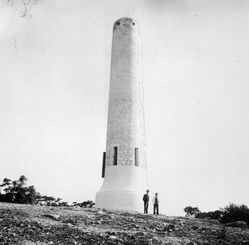 The monument column was originally erected as a trig station in 1885. 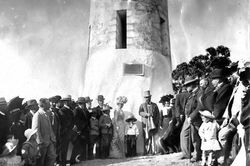 "Henceforth and hereafter," said his Excellency the Governor, standing beside the obelisk on the top of Mount Lofty on Saturday afternoon, " this column shall be known to all men for all generations as 'The Flinders column.' 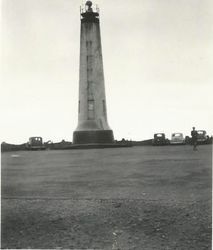 "
It has frequently been said of Australians by critics from other nations, by visitors who, although used to men and manners, cannot in a flying trip probe into the minds of men, that the younger generations of the land of the Southern Cross are lacking in respect and reverence for their elders, and for those who discovered and explored their country, and laid the foundations of the edifice which is now assuming pretentious proportions. 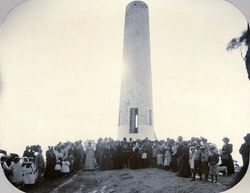 A step in the right direction was the pretty and significant ceremony enacted on Saturday on the highest point of the ranges which skirt the Adelaide Plains. The attendance was very representative and fairly large. The obelisk upon which the tablet is placed was erected about 15 years ago. 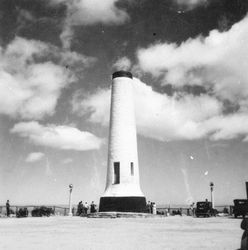 It is the most familiar object on the whole range, and is visible far out to sea. The Advertiser (Adelaide), 24 March 1902. 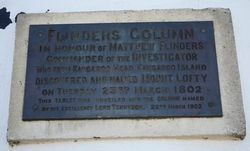 In honour of Matthew Flinders Commander of the Investigator who from Kangaroo Head, Kangaroo Island discovered and named Mount Lofty on Tuesday 23rd March 1802.